Wagoneer restorations are popular among car collectors and 4X4 enthusiasts alike. Rather a Wagoneer owner is trying to restore a classic Wagoneer to pristine OEM/stock condition or is modifying an off-roading monster; there are plenty of resources online for doing so. Listed below we cover a few of the best places for information on Wagoneer restorations along with business that provide Wagoneer restoration services. Click the link above to check out Phil’s Wagoneer restoration service at TheMotorMasters.com. Phil offers daily driver restoration, frame-off, rotisserie restos and custom builds. He has a location in West Palm Beach, Florida as well as Hendersonville, North Carolina. GrandWagoneer.com is a restoration service ran by a guy named Norbert who has been restoring Wagoneers for over 15 years. He primarily focuses on 1991 Wagoneers. See his site for more information. WagonMaster.com is a restoration service based out of Kerrville, Texas. 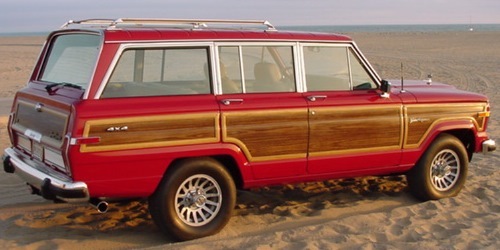 They have professionally restored over 1,650 Jeep Grand Wagoneers over 20 years in business. Wagoneer World is another Texas based Jeep SJ restoration service. Located in Dallas, they are a licensed and bonded independent Auto Dealer which specialized in only Full Size Jeeps. Another great place to find more information about Jeep Grand Wagoneer restorations is to check YouTube. You will find many homemade DIY restoration that can provide ideas for how to restore a Wagoneer at home. I have an 88 Wagoneer. I have the cargo cover for it which is in good shape itself but the springs or roll up mechanism worked but now is not working. It is burgundy. need someone to fix up the springs if needed and make sure it works correctly so I can install it on my waggy. I also need the small plastic cap that goes over the end of the metal rod which attaches to the rear when extended.